I have loved Craft, the original that is, for many many years now. I began going to Craft when my family and I would take weekend trips growing up to the city for some good food, hair cuts, and Broadway shows. Over the years, my passion for food has increased immensely, so has my devotion to Tom Colicchio. What Craft does better than most restaurants in New York City is take extremely simplistic foods and makes them taste perfect as is. For example, I grew up on Colicchio’s Infamous English Peas — he took something as simple as peas and made them irresistible, we would flock to NY just for those peas. For an appetizer this time around I had the Beets & Tarragon– the beets came prepared on a plate with nothing other than leaves of tarragon tossed in a light beet vinaigrette. I couldn’t even share them with my friend, the yellow and red beets were absolutely wonderful. For dinner I had the Roast Chicken and the Oyster Mushrooms. Again I say that nothing was left on my plate after this dish as well, the mushrooms were a little sauteed with some sea salt and the chicken was extremely moist & tender. For dessert I needed something a little light so I ordered the seasonal fruit with whipped cream — the fruits of choice were prunes, grapefruit, and pineapple. The only downfall of the evening — I think Tom could have come up with some better “seasonal fruits”- it is what it is. The amuse buche was to die for — it was a Jerusalem Artichoke soup with truffle oil. If you can ask for that when you attend, do so immediately. Warning: Extremely pricey restaurant, more like an occasional/ once a year restaurant but extremely memorable dinner, trust me. Very rarely am I swept away by a restaurant — Scarpetta, however, swept me away. 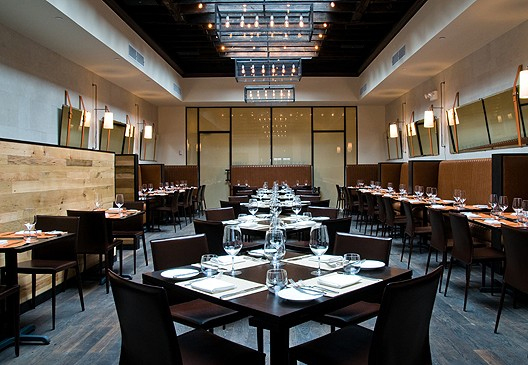 I have wanted to try Scott Conant’s restaurant since it opened a few years ago in the city. 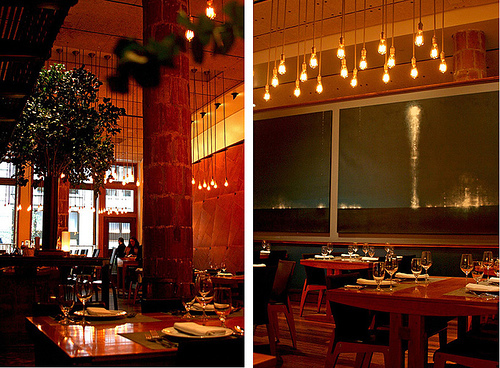 I love when a restaurant conjures up a lot of buzz — it makes me wonder whether or not it will live up to its hype. 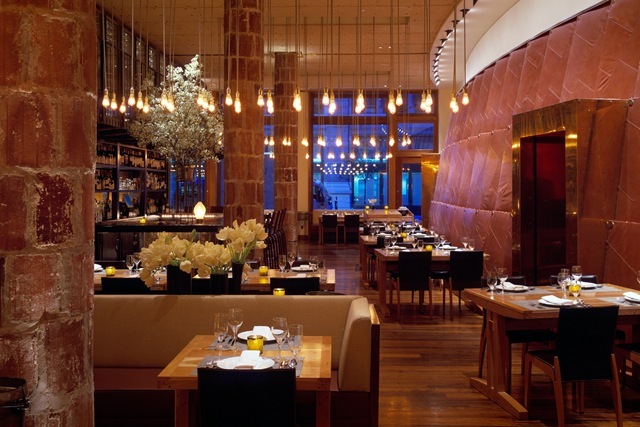 Most of the time the restaurant does not — but Scarpetta most certainly did. For an appetizer, I had the Asparagus and Mussel soup — it was prepared flawlessly. It was a frothy green base (consisting of pureed asparagus) with a bit of truffle oil, pieces of asparagus and mussels. Deliciously smooth and appetizing. For my main course I had the Black Cod with Caramelized Fennel and Concentrated Tomatoes. When I say I left absolutely nothing on my plate, I am not exaggerating. The dish was flawless — it was the perfect size fish, delicious balance of sweet and acidic. Wonderful dish. The pricing for the dinner was not as outrageous as I had been expecting either — with cappuccinos and wine included this meal was absolutely worth every dollar. 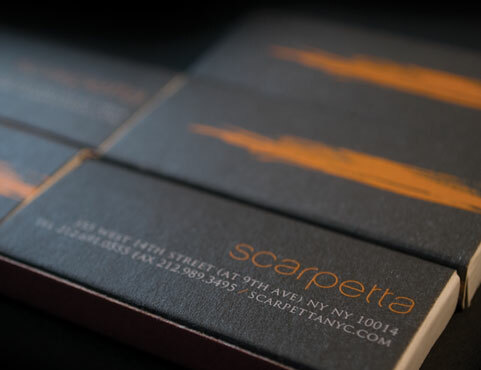 If you’re in the Meatpacking District or even… any where in NYC and want a memorable meal, go to Scarpetta. Here’s the thing…. 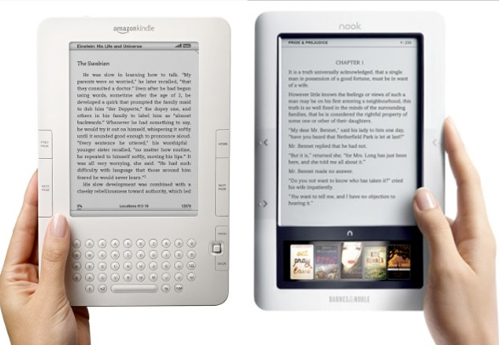 I think that I could if I put my mind to it, create novels similar to Ms. Handler in less than a month. 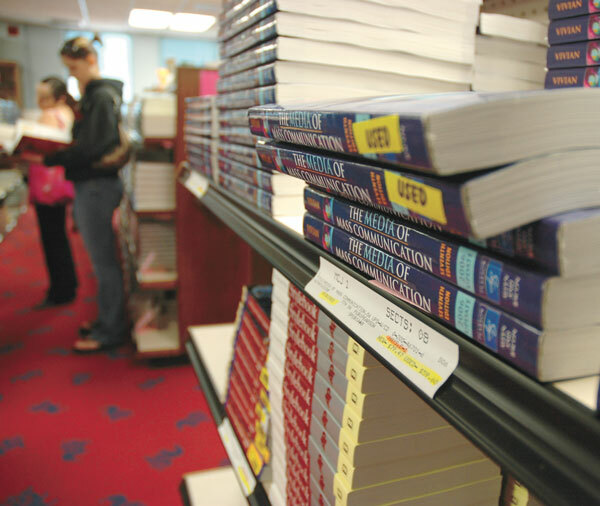 Perhaps I would even be able to compete neck and neck with her in e-book sales. She is witty, completely psychotic, a pathological liar, and above all a drunk, and yet for some reason, I relate to her completely — minus the lying, slutty aspects of her personality. 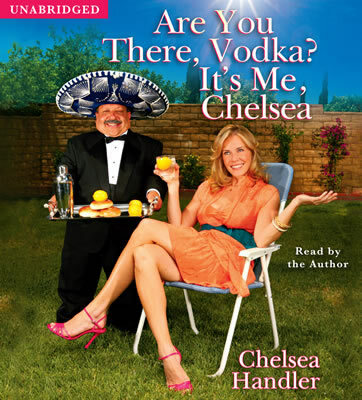 Her book, “Are You There Vodka? It’s Me Chelsea” took me less than a hot day in Miami to complete — it was a wonderfully hilarious book that highlighted her nights “locked up” as well as random puff sessions with her father and her African American girlfriends on vacation. I loved it. In addition, to her first book, I read My Horizontal LIfe — a series of one night stands. Here’s where things get sketchy … I love her writing style and I love her anecdotal stories, however, by the middle of the book I got so uncomfortable. I was thinking to myself — either she needs to get serious SERIOUS help or she needs to realize she is destined to be alone for the duration of her life — somewhat like a revelation I’ve made in my own life lately. She came off however as slightly slutty and slightly pathetic come the end of the book — perhaps she was going for that but I will stick with my opinion and liking for her in the 1st book. Pizza for Breakfast? Not So Revolutionary. Ok, so here’s how I see the foodie world — as soon as one person blogs with a “revolutionary food concept” it spreads like wildfire and others shortly thereafter claim they started the trend. Let’s take, for instance, the infamous ‘WATERMELON WITH MINT, RADISHES, AND FETA CHEESE’ craze last Spring which originated to the best of my knowledge on Top Chef. 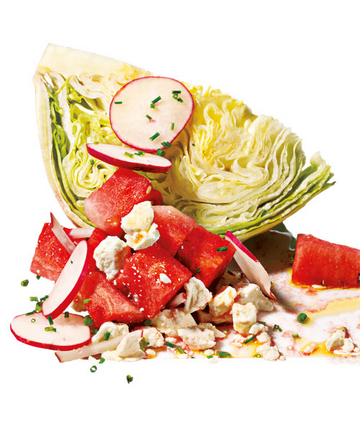 That has now become a staple on most menus — get over it guys, it’s mushy watery watermelon paired with tangy, bitter feta cheese of course the pairing tastes good to the palate — let’s be a bit more creative shall we? Another major “craze” that’s been brewing throughout the food world is the concept of “Pizza for Breakfast” insert ooh’s and ahh’s here if you’d like. This is the thing — when I heard about this concept way back in the fall, I was a little perplexed, yet, after three MILLISECONDS it made sense why people/chefs would concoct a breakfast pizza. Let’s break down the major components of pizza: cheese of various sorts, tomatoes whether it be stewed or fresh, and bread — well, let’s think of what normal Americans make for breakfast. Slices of toast (cough, same white bread used in crust of pizza), cheese in omelets, and tomatoes can either be accompanied on the side of your eggs in a sliced manner or sauteed and placed into your omelets. So…. if you really break it down, you’re eating dinner for breakfast and breakfast for dinner very often, however, it is unknowingly. AHOY! The combinations for your own breakfast pizzas are endless think about it — if you like bacon, pancetta, and spinach that’s one pizza in of itself. 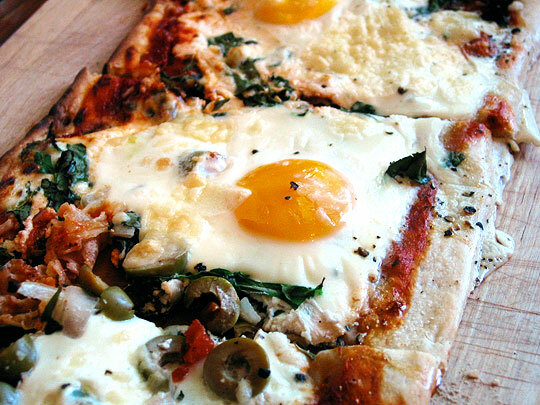 Kitchn blog makes their own pizza’s with soft ricotta cheese, fresh herbs, white pizza sauce, eggs, salt and pepper — not too difficult in my opinion. If you like all veggies, for example, make yourself a sauteed veggie breakfast pizza with a tomato base (sauteed zucchini, green and red bell peppers, and mushrooms perhaps)? I can’t get over JUST how catastrophic everything has become over the past year — I’m not even talking solely about natural disasters or premature celebrity deaths. I am talking about EVERYTHING going on. My mother had a calendar in my house growing up that listed 2010 the year that the world came to an end. 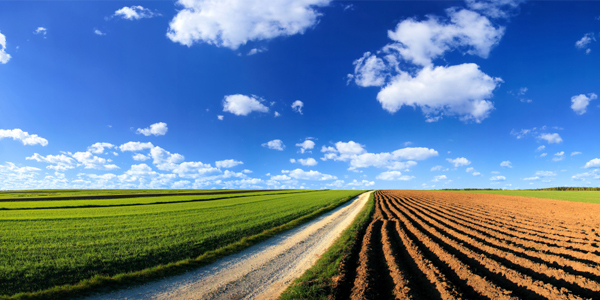 While I don’t necessarily think it will end COMPLETELY, I am seeing major… major…. downfalls to say the least. Let’s recap shall we? 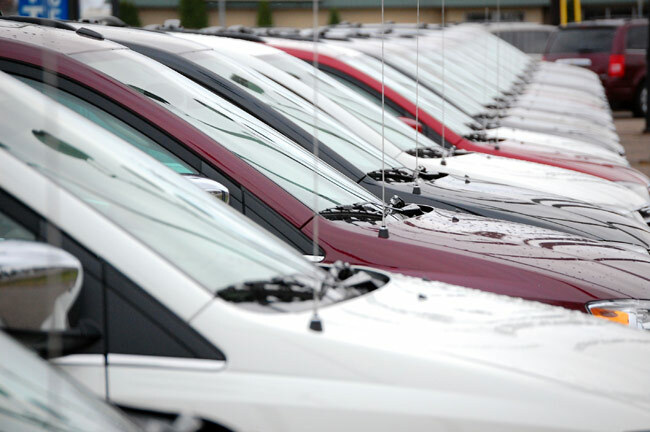 1) TRUST IN AUTO MANUFACTURERS –GM this morning recalled over 1 million cars…. General MOTORS ladies and gentleman. This isn’t Toyota were talking about now. That’s another 15+ million cars being recalled as we speak. We trust auto manufacturers to put our safety first right? We trust them with our lives as well as those we love and care about. It is extremely unnerving to hear quotes daily in the Wall Street Journal that car companies clearly put profit over safety — should we all start rebelling and using bicycles to get to designated locations? Not realistic but I’d prefer to do that at this point over giving any of these car companies hundreds of thousands of dollars in profit. 2) NATURAL DISASTERS– Haiti then Chile — what next? 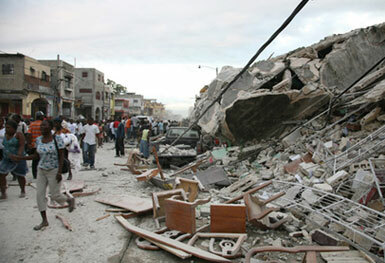 Haiti will never recover fully from the damages caused to their country, nor will Chile apparently. Natural disasters of these size are catastrophic, devastating, and life changing for FIRST WORLD countries — the devastation caused to THIRD world countries is unfathomable. 3) SCANDALS INVOLVING NATIONAL ICONS (POLITICAL AND SPORTS) — There once was a day when our sports figures and our political icons stood for something — Obama in my opinion still embodies all that a husband and father should be and for that, I admire him. Other iconic figures such as John Edwards and Tiger Woods have proven to us that we really can’t put people on pedestals anymore… In addition, various celebrity sports figures such as Marion Jones and Andre Aggassi came out with scandals of their own which made all of America look at them differently afterwards. 4) SEVERE RECESSION– I mean… do I need to even reiterate just how bad the job market is now? It used to be — that when you spend 50k at an esteemed college/university there was a LARGE unspoken understanding you’d be able to find at LEAST an entry level position with a company and work your way up. Interns were strictly those in college looking to gain a little experience and get their hands dirty — most were paid internships. NOW? If you graduate from an esteemed college after having thrown yourself in severe debt, you would be LUCKY to land an unpaid/ or stipend internship a few days a week. Most of the internships are now taken over by those 30 or older who were fired from their previous job and trying to ease their way in any which way back into the work force.